LSU Football Operations is the center of the LSU Football universe, it is where players practice, train, and meet on a daily basis. 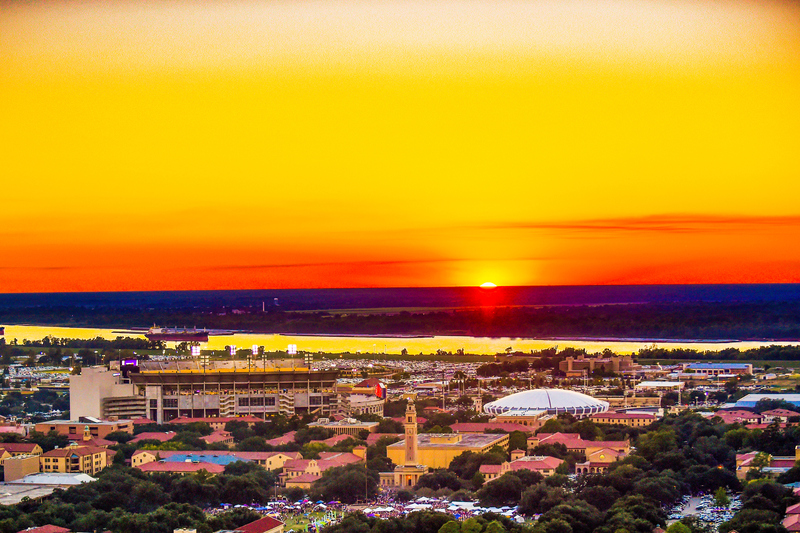 As the LSU football program continues to grow in size and stature, and as the sport evolves, the need for additional space and resources is tremendous. The facility is currently under renovation and we need your support to complete funding for the project. 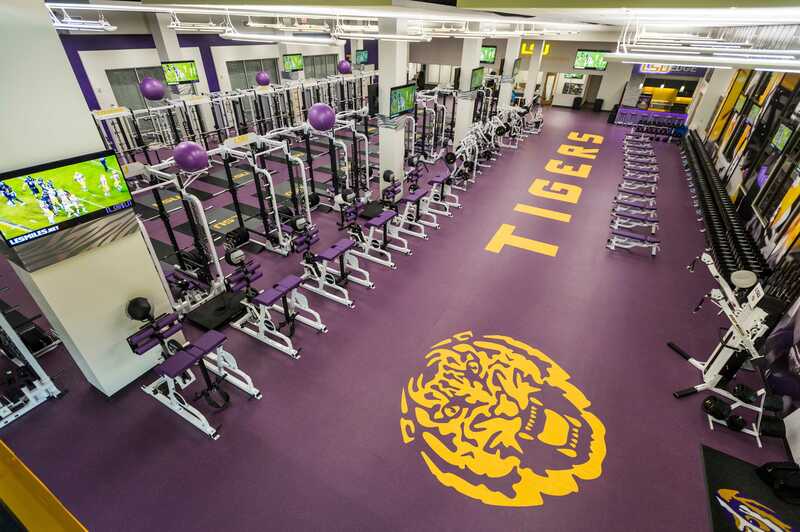 The Tigers’ new weight room was complete in 2016. It not only features brand new weights, dumbbell sets, power racks and lifting machines, but also a new floor devoted entirely to cardiovascular exercise equipment. The renovation includes 22 cardio machines, a medicine ball wall, a second bathroom, a new office, and up to 30 televisions. Learn more. The new locker room will feature new lockers with a specialized ventilation system and bacteria-resistant phenolic surfaces that ensure equipment lasts longer, stays cleaner, and performs better. 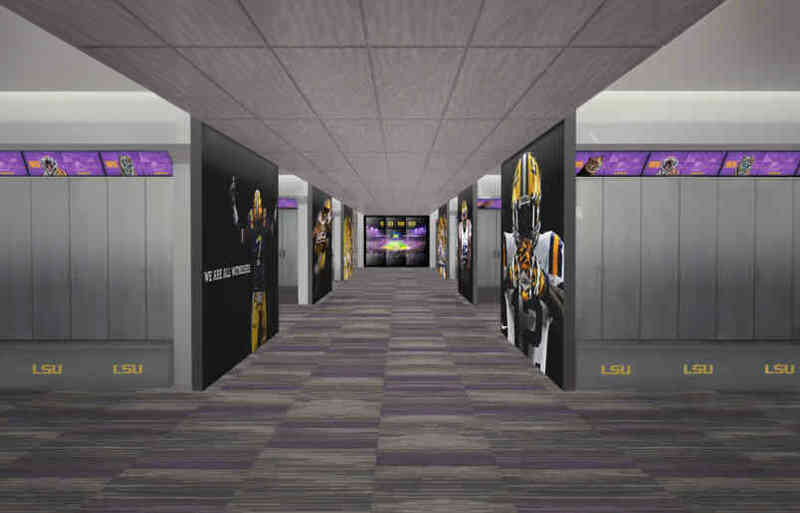 Modeled after the updates to the locker room at Tiger Stadium, this space will be used daily and will also include 40 lockers for former athletes to use. The planned renovations include 2,300 square feet of entertainment, lounging, computer areas, and quiet zones for athlete's downtime. The lounge will accommodate 100 students comfortably and have floor to ceiling windows to overlook the outdoor practice fields. 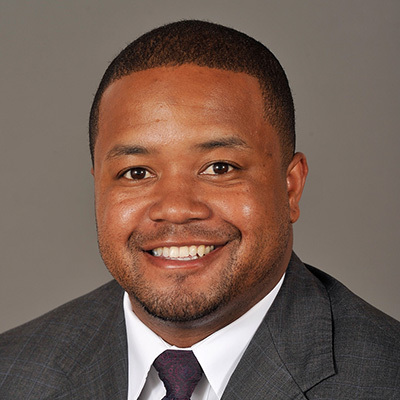 The players' lounge will be named in honor of former LSU student-athlete and Arizona Cardinal, Tryann Mathieu. Upgrades will include increased space for rehabilitation, updated hydrotherapy pools, dedicated performance testing area, and a large meeting room to enhance technology and data collection for concussions. 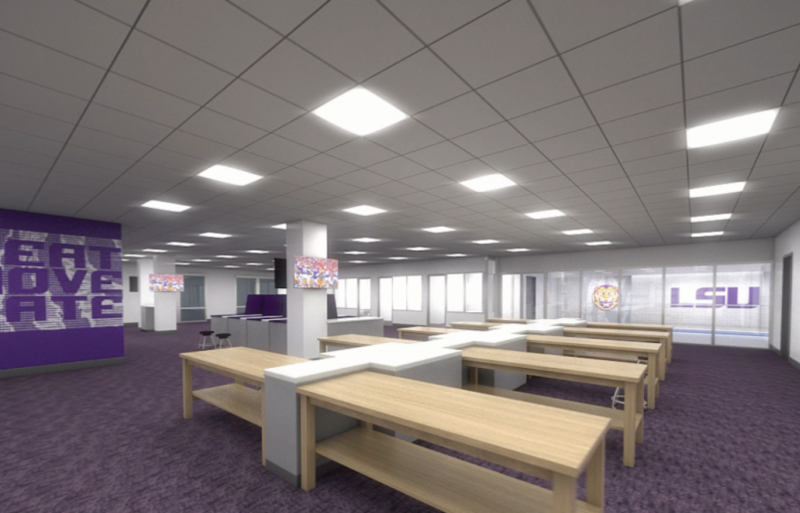 A brand new, large conference room will give players and staff a private space for planning, wellness, and nutrition meetings. 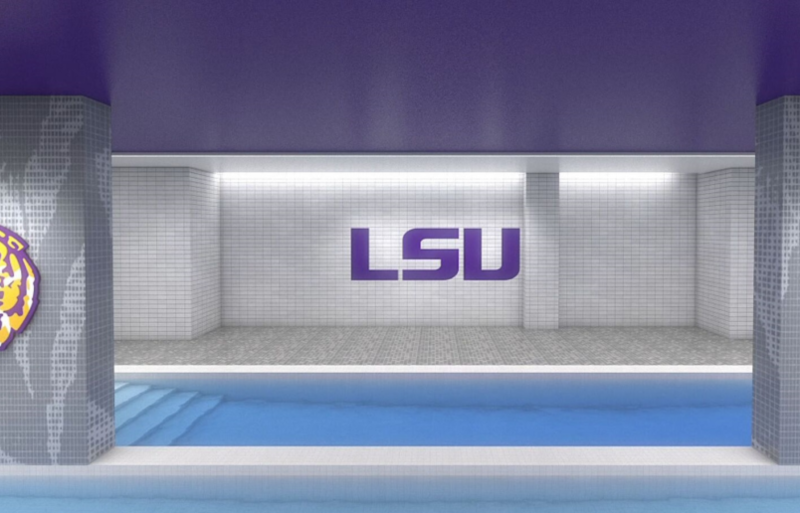 A new hydrotherapy pool will contribute to the wellness and rehabilitation of the student-athlete. The buoyancy of water creates a non-weight bearing environment and student-athletes can exercise with less stress on joints and muscles. 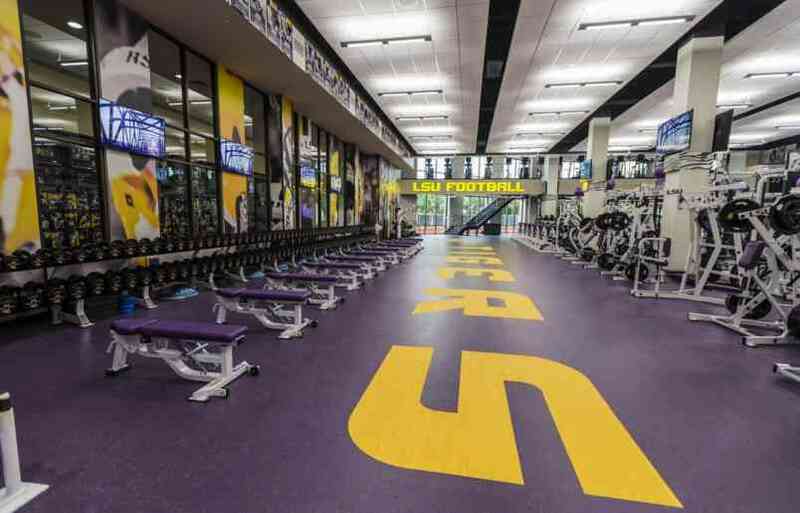 The new Nutrition Center will support all LSU student-athletes. 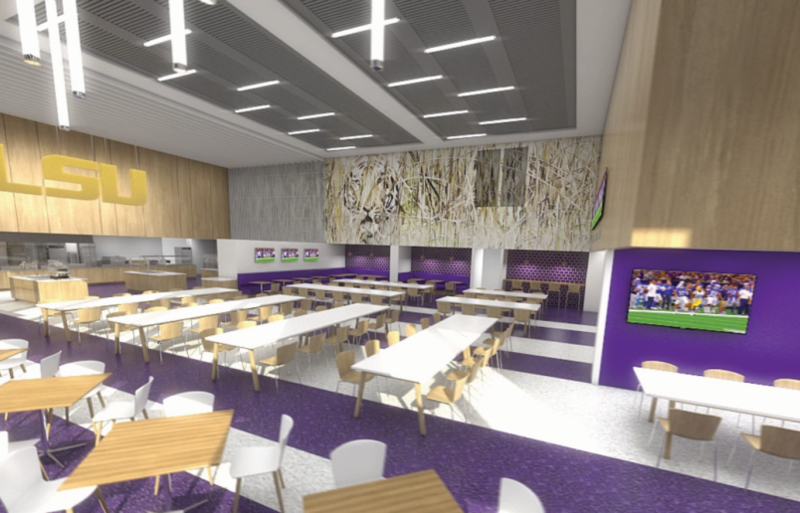 Under the direction of the LSU Athletics Sports Nutrition team, the nutrition center will facilitate education, foster physical and mental wellness through eating right, and better support the needs of each individual student-athlete. 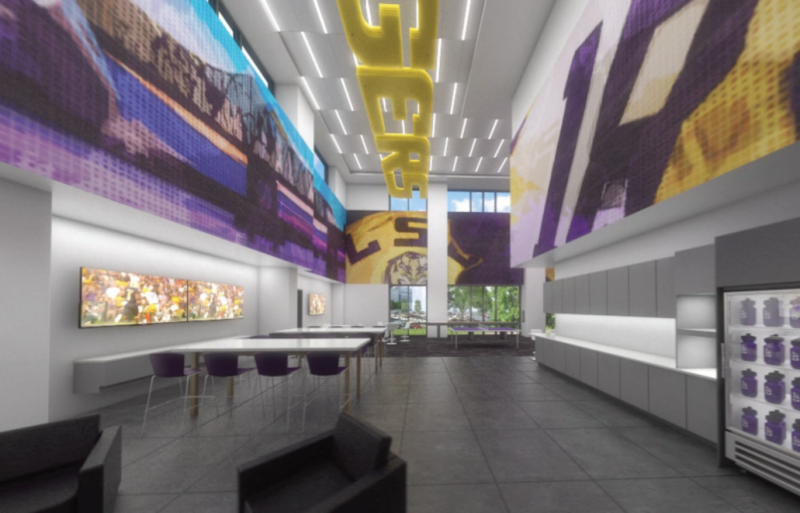 The new players' lounge is going to be a difference-maker for the future of LSU Football. 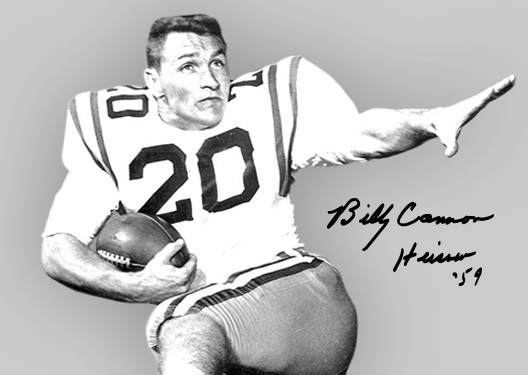 From team camaraderie to recruiting, the impact of that facility will be astounding. This facility will be the finest in the nation! The onsite nutrition center and players' lounge will give our student-athletes the opportunity to refuel and relax between their academic, strength/conditioning and football obligations. The state-of-the-art locker room will give our team an experience that none other can match! This facility is a home away from home for our players. We put our TIGERS first in all that we do!